Planting Dates: After all danger of frost is gone and the soil temperature is about 70°. In general, April 5 - June 31. Planting Method: About 40 days prior to the targeted planting date, place sweet potato seed roots on their sides in moist sand. Cover with a mix of sand and compost. Maintain a temperature of about 80°. Water to keep the mix moist. After the "slips" appear, add more mix. When the slips reach a height of 8-10 inches, remove them with a twist and plant soon after. A cool, cloudy day is the best timing. Plant them 3-4 inches deep and 10-12 inches apart, and they will grow easily. Plant unrooted slips either end down in raised beds. Roots are planted down if they exist. Harvest Time: 100-150 days. Expect 2-3 pounds of potatoes per plant after the second month of growth. Harvest any time they have reached a useable size. Culture: Sweet potatoes do the best in acid sandy soils but will grow fairly well in all soils. The sweet potato weevil is not much of a problem in sandy soils. Loose, well-drained soil is needed. Use moderate amounts of compost, lava sand, and soft rock phosphate. Sweet potatoes are fairly drought-tolerant once established. Mulching is important to help maintain an even soil moisture. Mulch will also keep the vines from rooting. Without mulch, the vines should be moved every 7-10 days. Vines will root in good soil and make potatoes if not moved. After the second month of growth, try to keep the soil as evenly moist as possible, but not overly wet. If the vines outgrow the space, pinch out the growing tips to prevent further spreading. This is not usually necessary with the ‘Vardaman’ variety. Troubles and Solutions: Stunted plants from cold weather can be prevented by not planting too early. Avoid overwatering to avoid disease problems. Sweet potato foliage wilts easily during hot days, but this is not necessarily a sign of dryness. Maintain even moisture as the roots mature to avoid cracking and misshapen potatoes. Small, stringy roots are caused by over fertilizing. Rough, misshapen roots result from overwatering. Sweet potato weevils are ¼ inch reddish ant-like weevils with dark heads. Whitish larvae (grubs) do most of the damage. Root knot nematodes can be eliminated with citrus pulp tilled into the soil prior to planting the slips. Various diseases can be controlled with cornmeal added at 20 pounds 1,000 square feet. Harvest and Storage: Expect to harvest 60 or more pounds from a 15 foot row. Harvest the roots when the soil is on the dry side to avoid rotting. Do it whenever the potatoes are big enough to eat and before temperatures have fallen below 50°. Sweet potatoes can be left in the ground until needed. For the best results, dig the roots when the soil is dry. Eat the damaged ones first. Do not wash or brush the soil away; this can easily damage the roots. Let the roots dry on news or butcher paper for 3-4 hours, then store in containers in a warm, humid place for about two weeks. Wet burlap over the containers works well. After curing, store at about 55°. They will last at least three months. A week or two before you plan to harvest, allow the soil to dry out. Do not wash them or try to remove any soil that may cling to them. Wash them after curing or when you’re ready to use them. Be sure to use any cut or bruised potatoes as soon as possible after harvest. Expect to harvest 60 or more pounds from a 15-foot row. Notes: The ideal slips have 5-6 leaves, a stocky stem, and is 8-10 inches long. 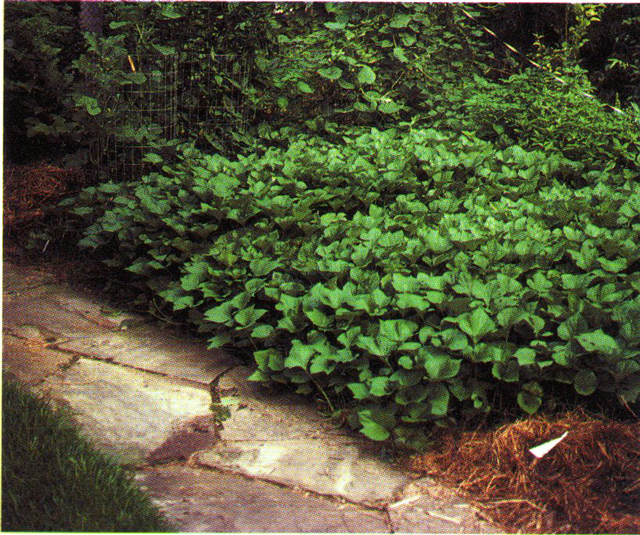 Sweet potato vines have been used to smother nutgrass. ‘Vardaman’ is the best variety for small gardens. It’s about 3 feet long, and its red-veined leaves are unusually attractive. I know very little about gardening, but I love to experiment. So, several months ago, I cut the eyes off of a couple of sweet potatoes from the grocery store and planted them in a pink, 2' across, plastic bucket. I watered it religiously but didn't have a clue if potatoes were actually growing.... despite "miles" of vines. Well, I broke open the cracked pink container and found it bursting with buried treasure. I called the neighbors over to see my MONSTER SWEET POTATOES. Am I supposed to cure the potatoes for six weeks or can they be eaten right away? The largest potato on the scale is SIX pounds! Here is the largest of my 25 lbs. of sweet potatoes.